We wanted to take an opportunity to highlight this incredible ministry that is making such a difference around the world. Operation Christmas Child is in full effect but it is actually something that you can participate in year round. At nearly 5,000 locations across the nation, volunteers will welcome and pray with people who drop-off Operation Christmas Child shoeboxes. The Cove is one of these locations. 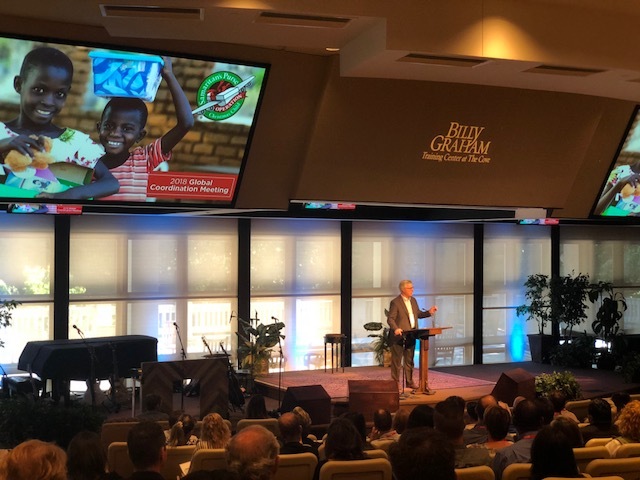 Since 1993, Samaritan’s Purse has partnered with local churches around the world to deliver 157 million Operation Christmas Child shoebox gifts to children in need in 160 countries. This is your chance to truly make a difference and impact in the lives of children across the world. 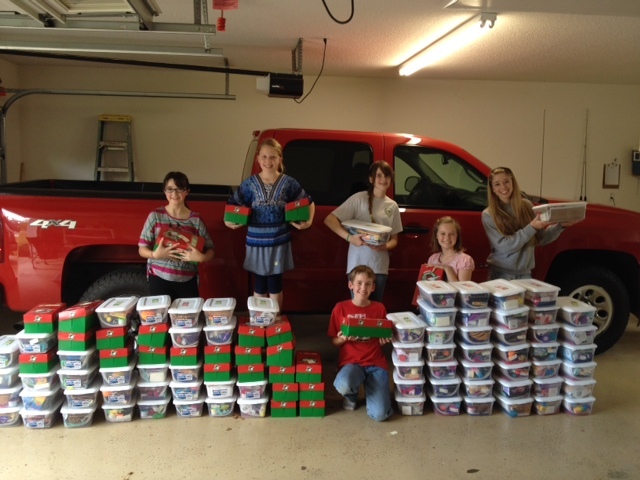 To learn more about Operation Christmas Child visit their website and click here. 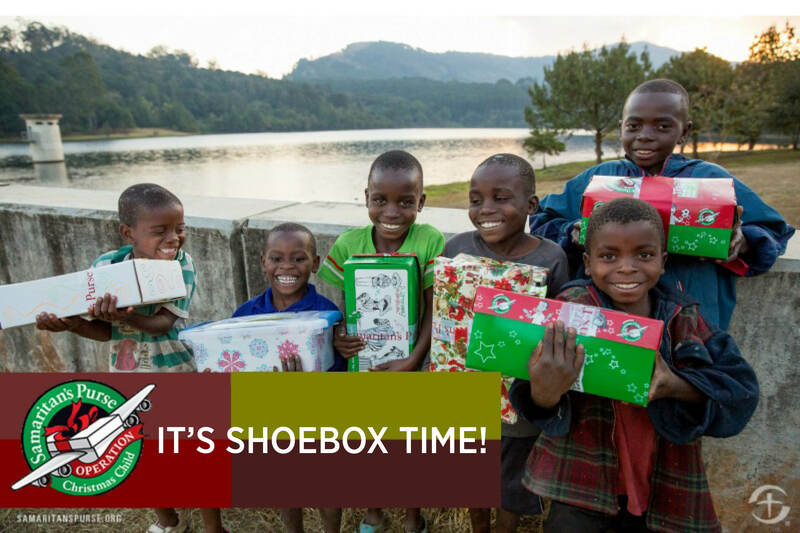 The last day to drop off your shoebox at The Cove is Monday, November 19th. Weekdays: 9am-5pm. Saturday: 12pm-6pm. Sunday 1pm-6pm and Monday, November 19th: 9am-8pm. We had such a wonderful week with Operation Christmas Child as a guest group! Operation Christmas Child is a project of Samaritan’s Purse. 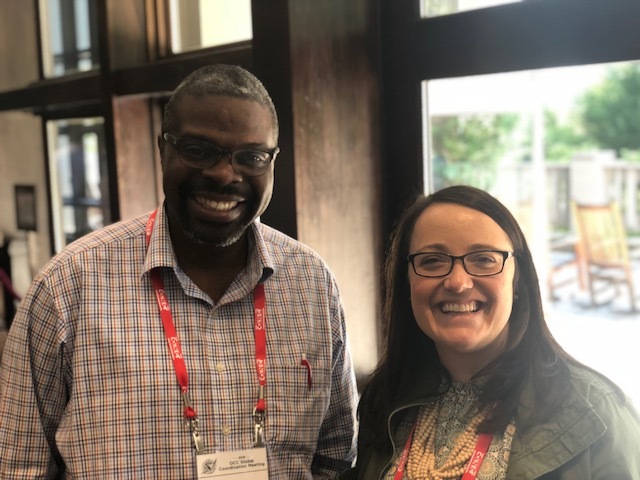 The mission is to demonstrate God’s love in a tangible way to children in need around the world, and together with the local church worldwide, to share the Good News of Jesus Christ. 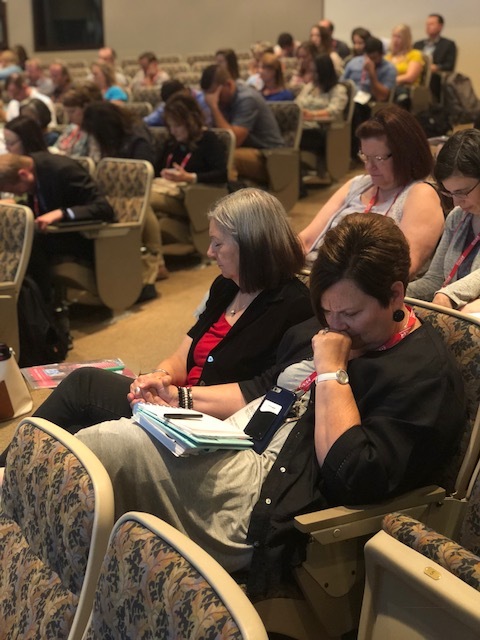 The group met in the auditorium for worship and teaching. They spent time in prayer over the children and families that they would be reaching this next season. 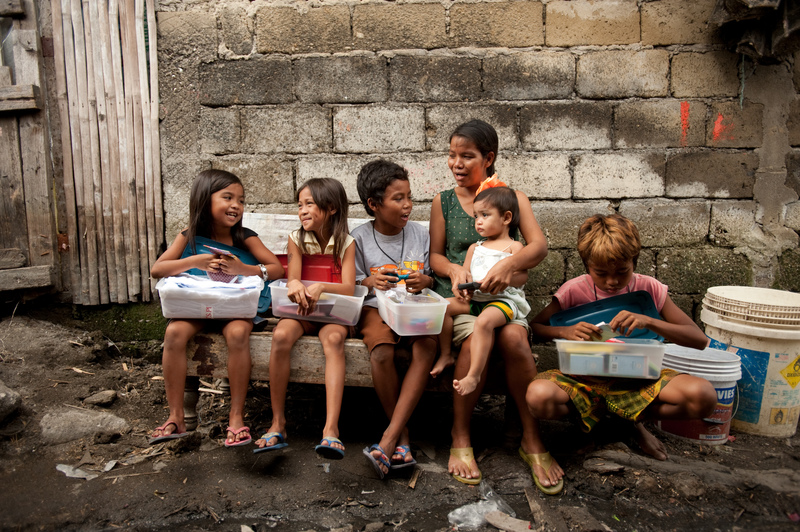 One of the guests shared that his favorite part of giving a child a shoebox is when they first open it up. They are so grateful for each and every item. He shared that even getting a washcloth is something that the kids rejoice over. To see their eyes filled with hope and excitement is amazing! 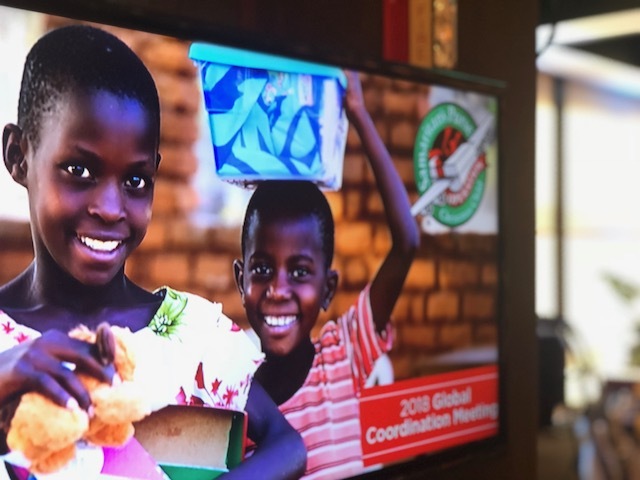 Since 1993, Operation Christmas Child has collected and delivered more than 146 million gift-filled shoeboxes to children in more than 150 countries and territories. 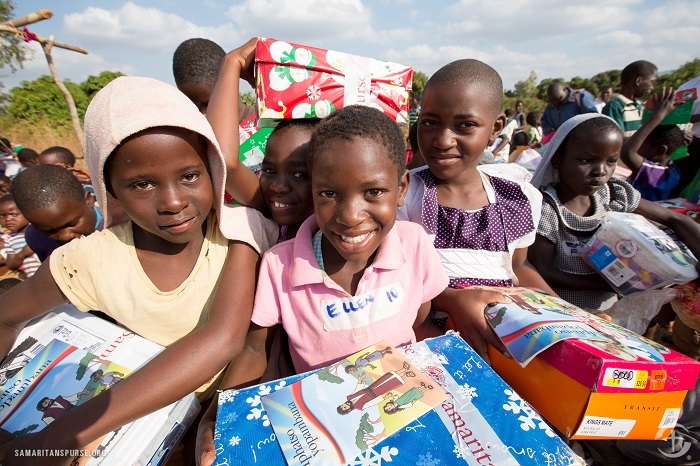 For many of these children, the gift-filled shoebox is the first gift they have ever received. We thank all of the amazing staff and volunteers who work so hard to reach these kids all over the world. One of our favorite reasons for being a drop-off center for Operation Christmas Child are the smiling faces and people we get to meet. But, even better is knowing that God knew, before the beginning of time, the exact child–somewhere far away–that would receive their box in the name of His son Jesus. 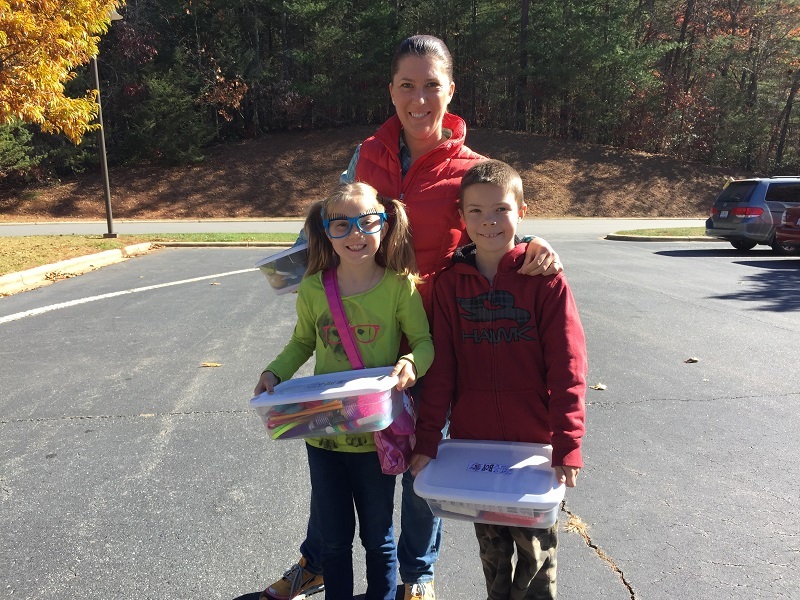 These three show us that packing boxes is a fun family activity! 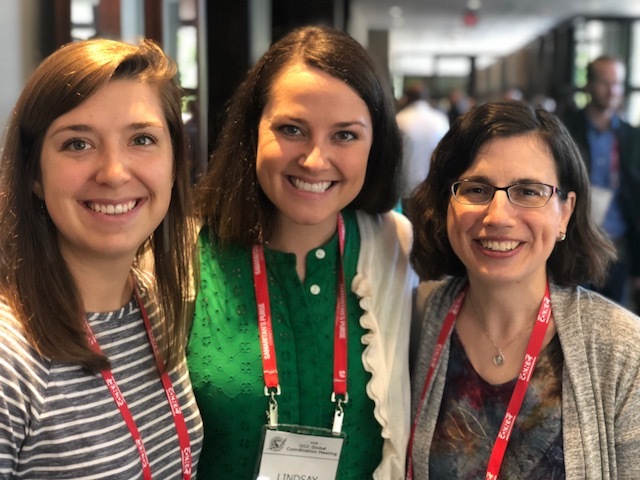 Three faithful women head up the shoebox ministry at their church, but as one man put it, “It’s the Lord doing it!” Isn’t it wonderful how God uses His children to accomplish great things here on earth! 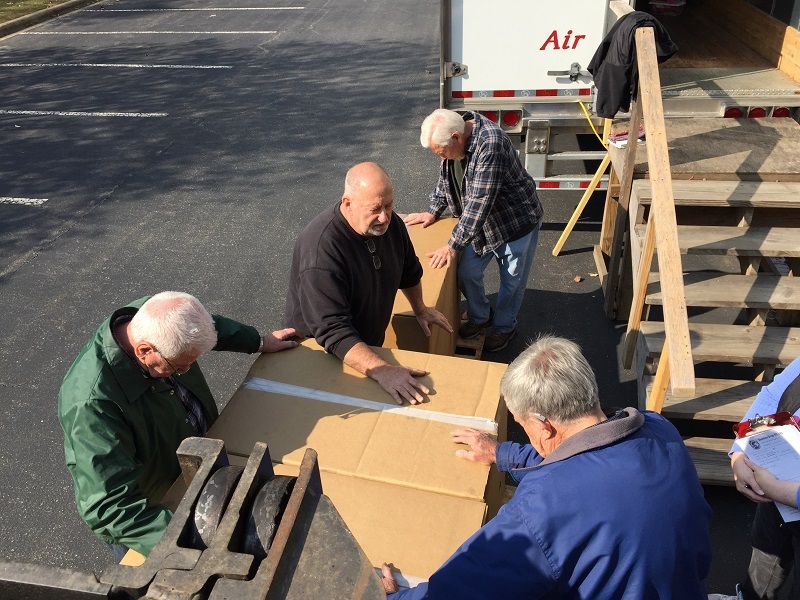 These boxes being delivered came from a packing party put on by a singles group at a church in Tennessee. 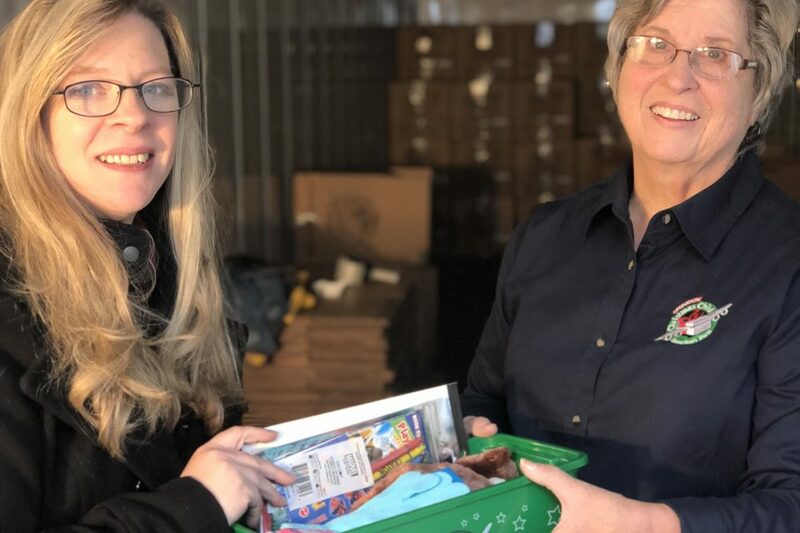 A local machining company’s employees and their families packed 100 boxes for girls and 100 for boys. This is one of their employees who delivered the boxes and some of our Cove staff/volunteers praying over the boxes. 106.9 The Light radio station was here on the last collection afternoon to greet people as they dropped off their boxes. This precious 4 months old may have been our youngest to donate a box. 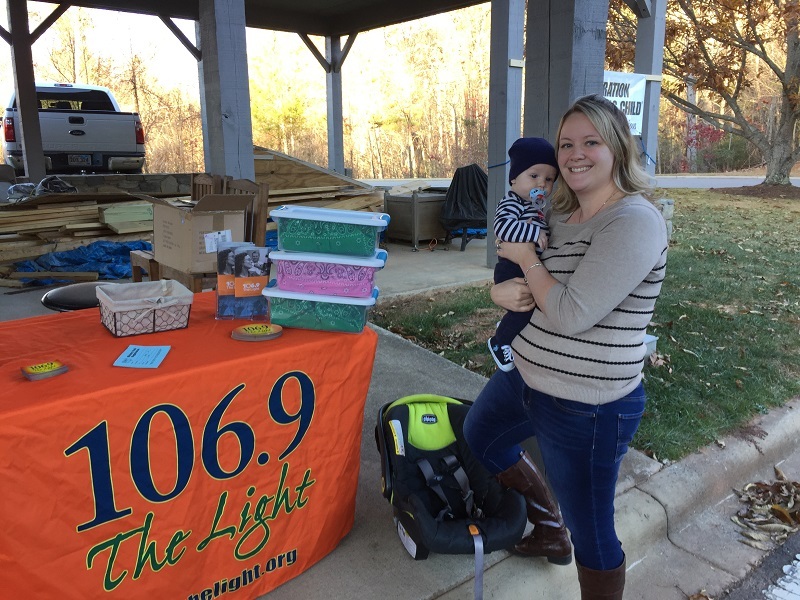 And because he and his mama were one of the first 25 to drop off their boxes during The Light’s on-air mention, they went away with some neat giveaways. 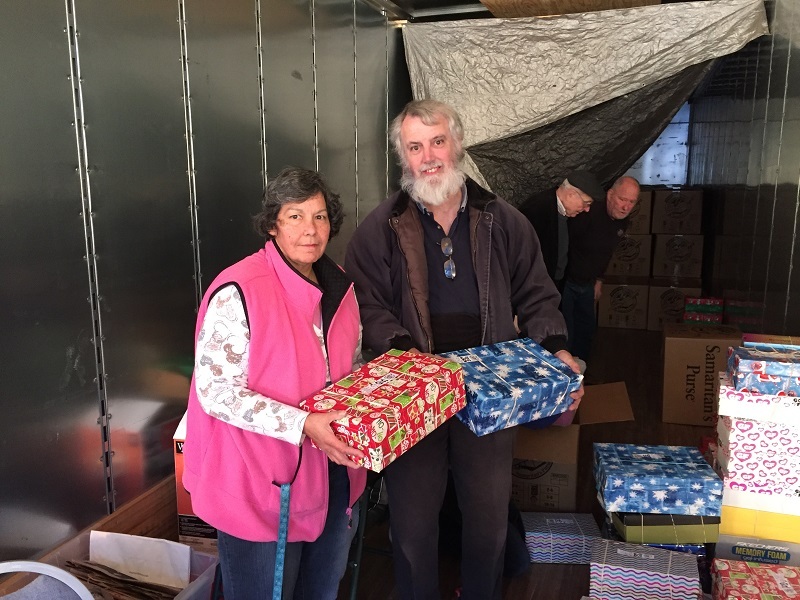 This local couple enjoys packing several boxes each year. Here they are inside the large tractor trailer where the boxes collected, here at The Cove, are stored. Thank you to everyone who packed a box for a child this year! Join us in lifting each box and each child that will receive one in prayer. November 16-23, 2015 is Operation Christmas Child Shoebox National Collection Week and The Cove is a drop-off site. We’d love to see you! Bring a single box, a truckload, or a busload. Monday, November 16: 9:00 a.m. – 5:00 p.m.
Tuesday, November 17: 9:00 a.m. – 5:00 p.m.
Wednesday, November 18: 9:00 a.m. – 5:00 p.m.
Thursday, November 19: 9:00 a.m. – 5:00 p.m.
Friday, November 20: 9:00 a.m. – 5:00 p.m.
Saturday, November 21: 12:00 p.m. – 5:00 p.m.
Sunday, November 22: 1:00 p.m. – 6:00 p.m.
Monday, November 23: 9:00 a.m. – 8:00 p.m. If you’ve never packed an OCC shoebox, you’re missing out on a fun and fulfilling activity. Each box is a gift that will communicate hope, joy, and God’s love to a child somewhere overseas. Click here to find out exactly how to pack a box. Don’t live close enough to us to drop your boxes with us? Click here to find a drop-off location closer to home. What happens when three best friends, all under the age of 12, set a goal to share the love of Christ with 100 children from around the world? 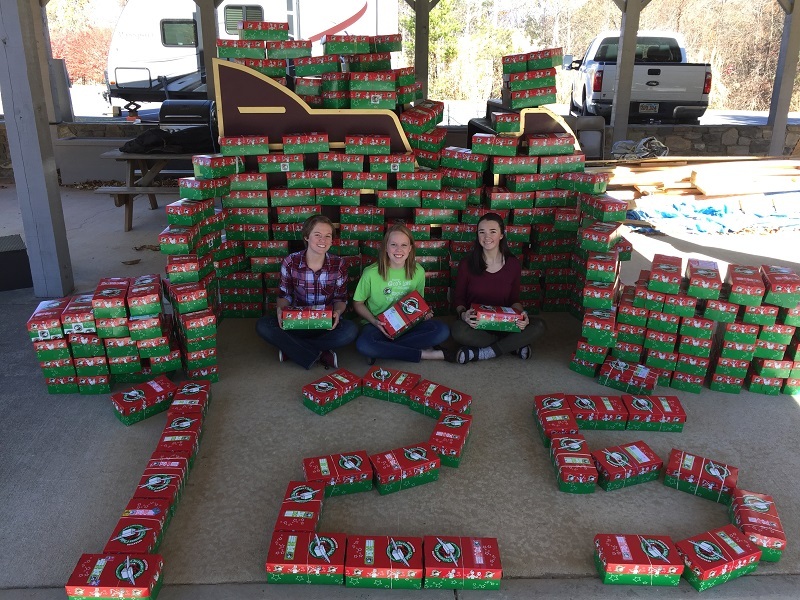 The idea came to them last year when Lydia (age 10), Hope (age 11) and Emma (age 11) who live in Marion, NC were packing a few Operation Christmas Child shoeboxes, as they had done for many years. The girls decided that for Christmas 2013, they wanted to pack 100 boxes. 100 boxes! No small feat by any measure. They began raising funds for the contents of the boxes early in March. Yard sales, lemonade stands, showing an outdoor movie on a sheet, making Duct Tape wallets and bows to sell, and going door to door asking for donations. 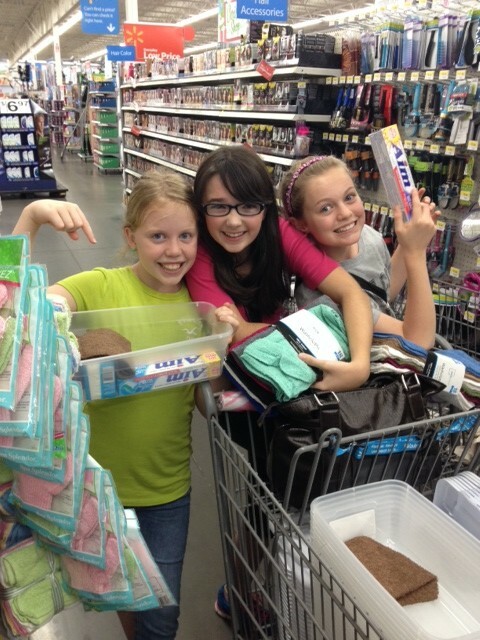 And then the fun part…time to shop! Each box contained a stuffed animal, notebook, coloring book, pencils, jump rope, bandana, washcloth, comb, toothbrush, toothpaste, tissues and other fun items they thought the children receiving would enjoy. 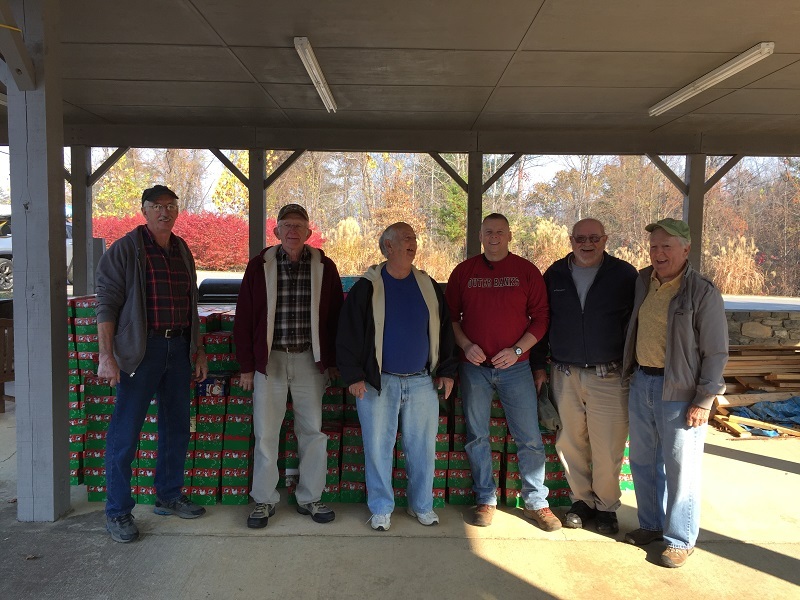 On November 22nd, they loaded up the truck and headed to The Cove, one of Operation Christmas Child’s National Collection locations, to drop off their boxes. Hope and Lydia had dropped off their boxes at The Cove last year and said that the experience was wonderful, so they decided to go back this year. Harold was the volunteer at The Cove the day the girls came by. Harold has witnessed a lot in his days, but seeing these girls with such beautiful hearts for the Lord brought him to tears. Before the girls left, he asked if he could pray over the boxes. He not only prayed for the children who would receive the boxes, but he thanked God for the children who made it all happen. You may be wondering if the girls have a plan for next year. Yes, they do! They plan to pack another 100 boxes and raise enough money this time to cover the shipping fees for the boxes as well. Watch here as the girls tell what they enjoyed most about packing the boxes. It’s not too early to start thinking about packing your boxes for next year. 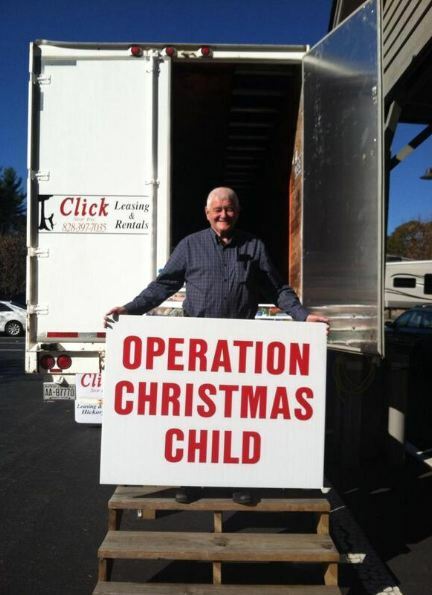 Visit the Operation Christmas Child website here for more information. Have you packed your OCC shoebox? 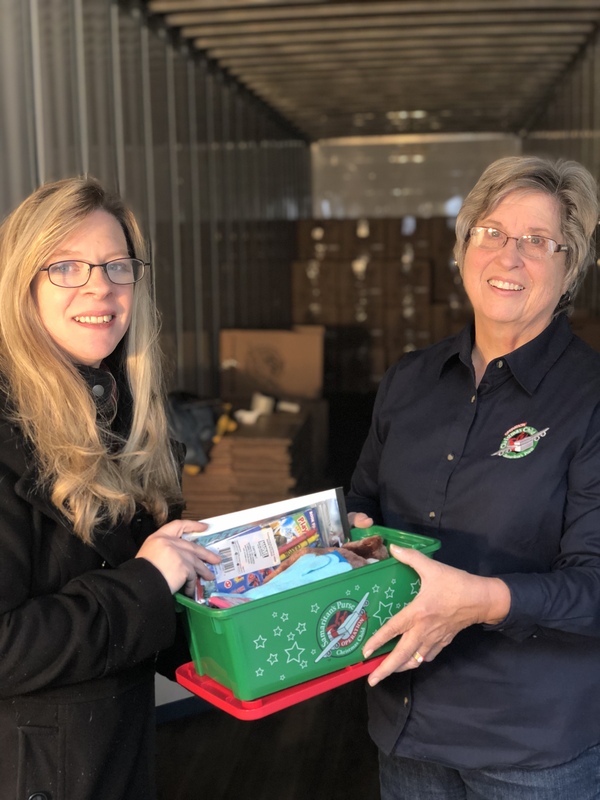 Packing an Operation Christmas Child shoebox is a simple way to let hurting children around the world know that they are loved and not forgotten. November 12-19, 2012 is National Collection Week, and The Cove is one of many drop locations for your boxes. 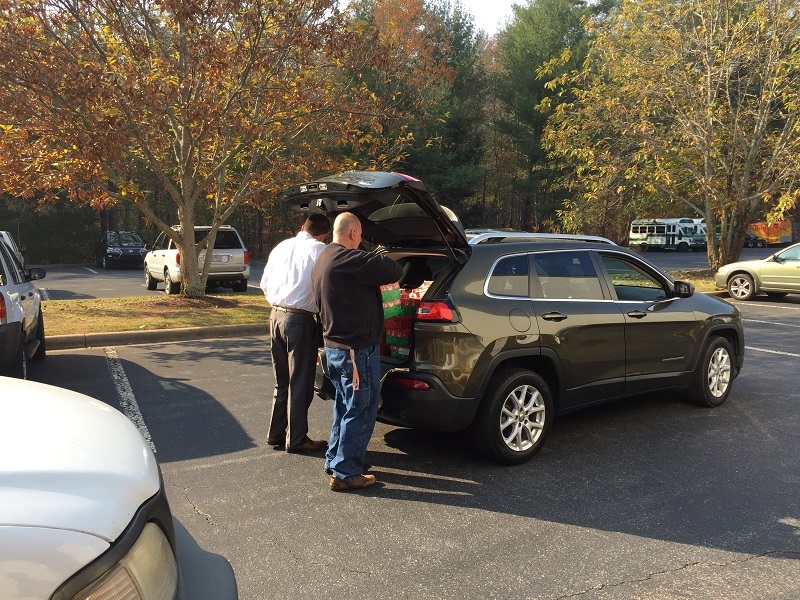 We are at 1 Porter’s Cove Road in Asheville, NC (just off exit 55). You may drop your box off anytime between 8 a.m. and 8 p.m. during collection week. As you can see from this photo, we all get very excited around here when the shoeboxes come in. 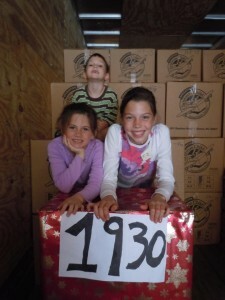 These are Billy Graham’s great-grandchildren and they were eager to share the number of boxes collected at The Cove last year. Let’s see if we can surpass the 2,000 mark in 2012! We look forward to seeing you at The Cove! Click here to download and print shoebox instructions and labels. 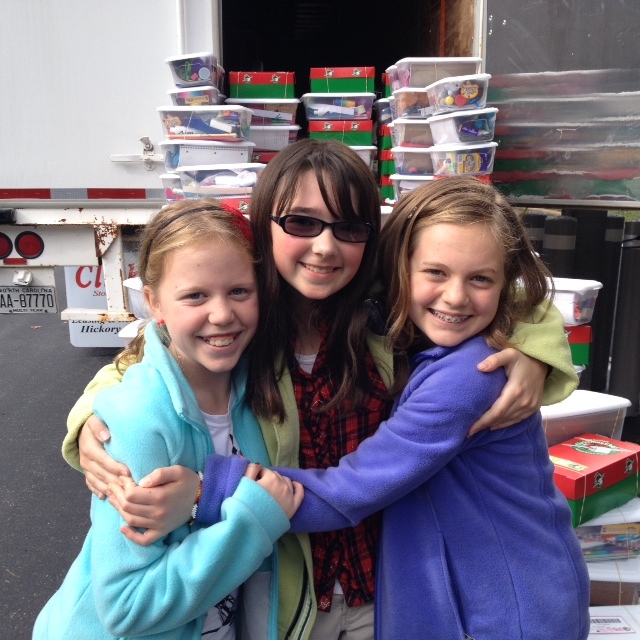 Watch here to see some beautiful smiling faces as they unpack their OCC shoeboxes.